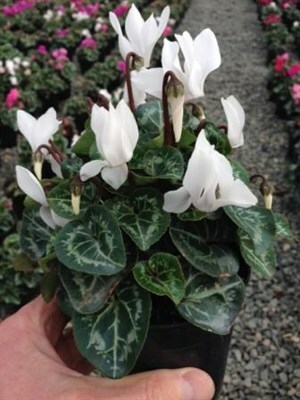 Cute small variety in 10cm pots with lots of flower, ideal for pots! 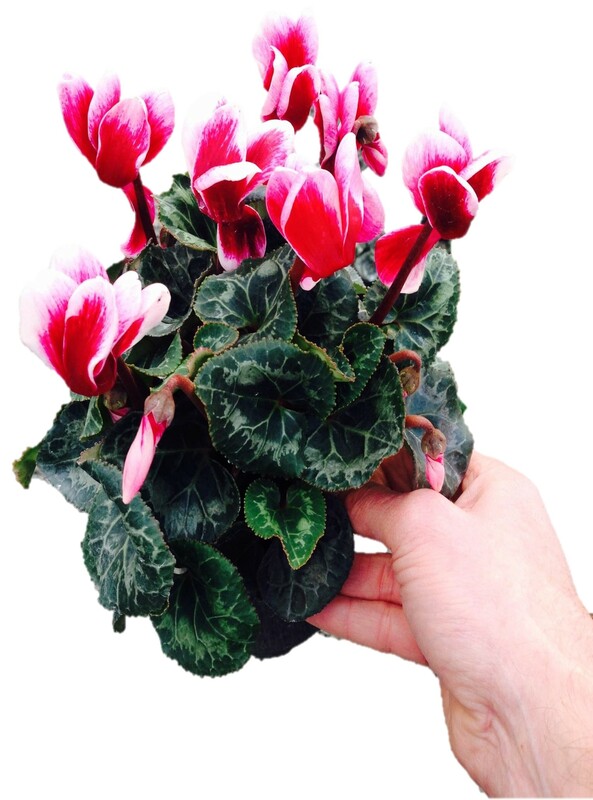 Cyclamen are noted for their stunning colourful display of long lasting flowers held above their foliage. They prefer a cool, well lit, airy position. They are best kept moist but never wet. Avoid wetting the foliage.